A third suspect is at large with an active burglary warrant following a stretch of six burglaries in the past three months. CONVERSE - Two people are behind bars in connection with a series of burglaries from August to October. 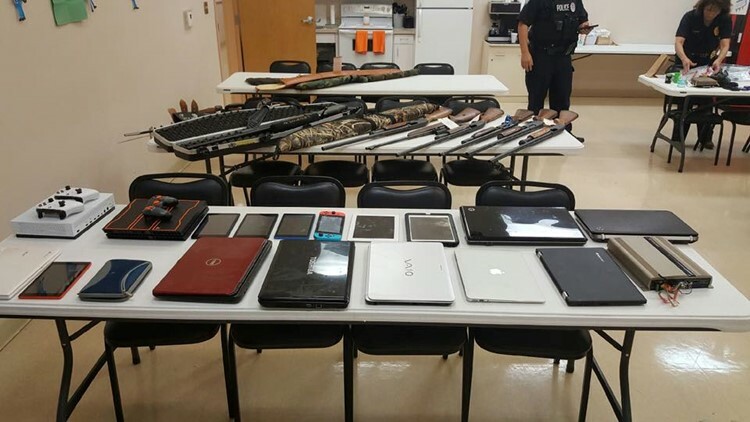 Converse Police executed an arrest and search warrants at a home in Balcones Heights and recovered many stolen items. 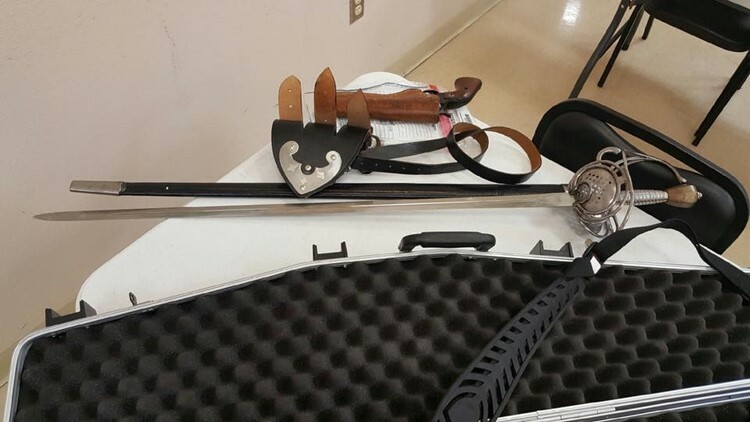 Burglaries were reported at six Converse homes in the past three months, and officers recovered rifles, hand guns, jewelry, mail, and electronics this week. 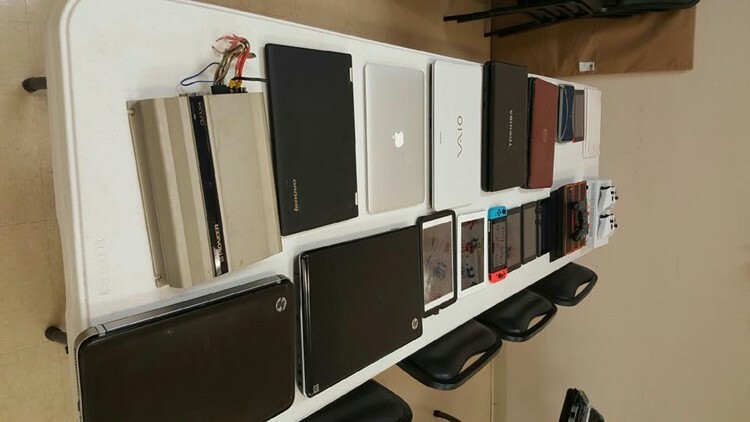 It appears that at least 10 laptops or tablets were seized, as well as what looks like a sword. Two suspects were taken into custody and a third suspect is at large with an active burglary arrest warrant. 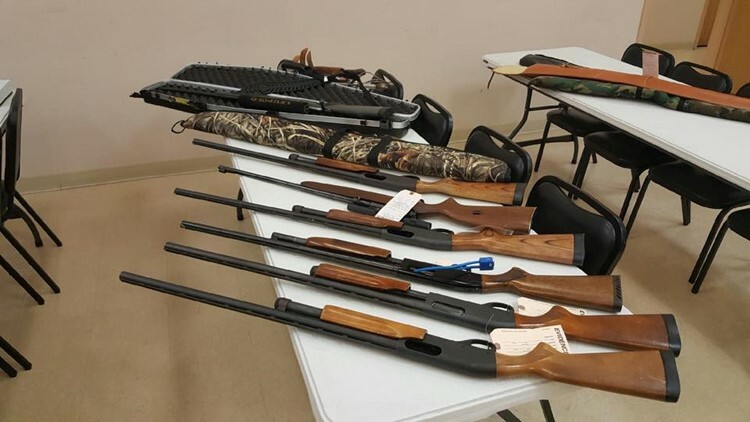 All of the suspects will be charged with burglary of a habitation and organized criminal activity, according to Converse police.